There is nothing quite like the taste of fresh fruit in the summer! Fruit dishes are some of my favorite summer treats since they are fresh and lighter than heavier foods like brownies when it gets hot outside. Nothing says summer quite like a fresh fruit crisp! 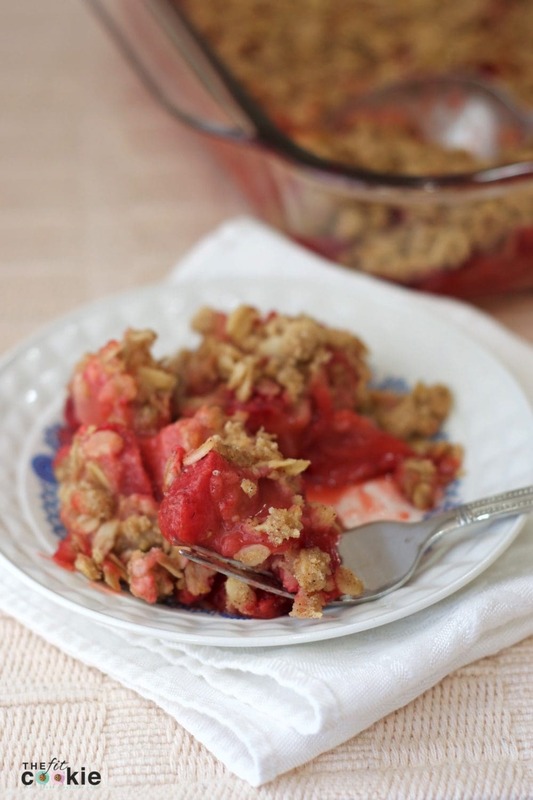 Strawberries and rhubarb are considered spring produce, but I’ve always loved the strawberry/rhubarb combination throughout the summer months in baked goods. 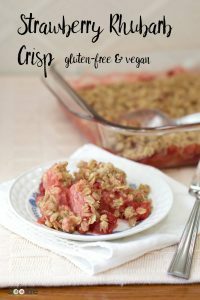 Rhubarb is technically a vegetable and not a fruit, so maybe we can count this Strawberry Rhubarb crisp as a serving of veggies? Haha! After getting a bunch of rhubarb from my grandma’s garden, I knew I needed to make something with strawberries and rhubarb (one of my husband’s favorite flavor combos). I wanted to make a crumb-top pie, but since I didn’t feel like making a pie crust, I decided to make a fruit crisp instead. Perfect! That’s okay, though, since this recipe is lower in sugar than a lot of other fruit crisps! I reduced the amount of sugar in this recipe by replacing some of it with baking Stevia. This Strawberry Rhubarb crisp is also low in saturated fats! I use light-tasting olive oil instead of coconut oil or palm shortening in the crumb topping so this is perfect if you’re watching your solid fat intake. I got a bunch of fresh rhubarb from my grandma’s garden and my mom’s garden so I washed, cut up, and froze the rhubarb to use for later. 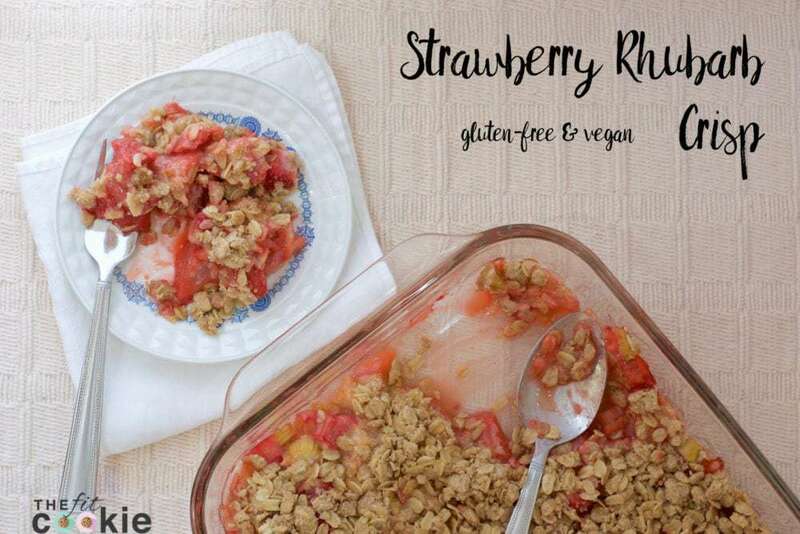 Since the rhubarb I used was fresh rhubarb that I froze, you can use either fresh or frozen rhubarb with good results here.